�/b> Glasto 2019 ticket day today! The BBC spent �,000 entertaining MPs and guests at this year's Glastonbury Festival, the broadcaster has admitted. A total of 10 premium tickets for the world-famous music event - each costing the BBC �5 - were handed out to five MPs, the corporation said. Along with all the BBC's guests, they were also invited to receptions on the Friday and Saturday night where food and drink were provided. Labour MP Sion Simon was given three tickets to the Somerset festival, Tory MPs Nick Herbert and Damian Green and the Lib Dem's Jenny Willott were each given two tickets and Conservative MP Theresa Villiers received one. The cost of providing tickets for guests, running the BBC's marquee and laying on hospitality came to �,000, the BBC said. In response to a Freedom of Information request by the Daily Mail, the broadcaster said some staff were asked to entertain guests, although none were there solely to look after the MPs. The BBC also said it did not provide any travel or accommodation for its guests. 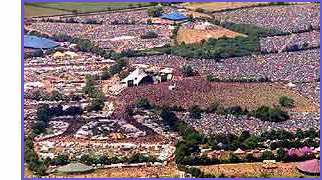 Answering the request, the BBC said: "Glastonbury is the biggest popular music event for the BBC and we cover it exclusively on TV, radio and online. "We also use the festival to strengthen relationships with a wide range of people we work with throughout the year." A record 140,000 revellers and 37,000 workers attended the world's largest greenfield music event at Worthy Farm in June, with more than 2,000 acts performing on 35 stages during the weekend. Source:Mail On Sunday, MSN News. This page was generated in 0.2959 seconds.